Building a strong team is a priority for any firm that is hiring - everyone wants the best talent. The challenge is identifying the cream of the crop. Interviews are critical in determining the best people to hire, but they are not always surefire in helping companies find the best talent. They can offer misleading information on prospective employees, and fail to provide enough information to best judge someone's character, skill, and work ethic. Bad hiring decisions can be costly and cause a negative ripple effect throughout an organization. In 2012, online shoe and clothing retailer Zappos said bad hiring decisions have cost the company an estimated $100 million over time. This is all the more reason why being more thoughtful during the interview process is important and can help limit hiring disasters. 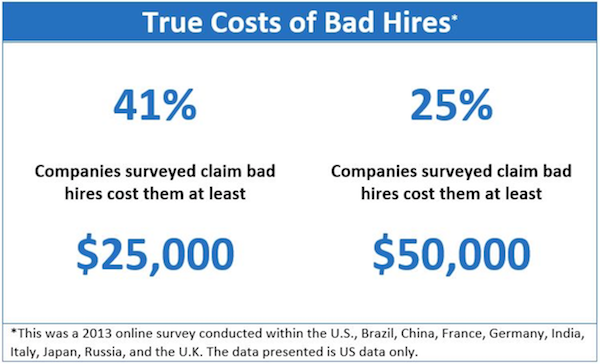 The consequences of bad hires go beyond financial losses. There are negative effects tied to workplace morale and productivity - including the cost of hiring and training a replacement. 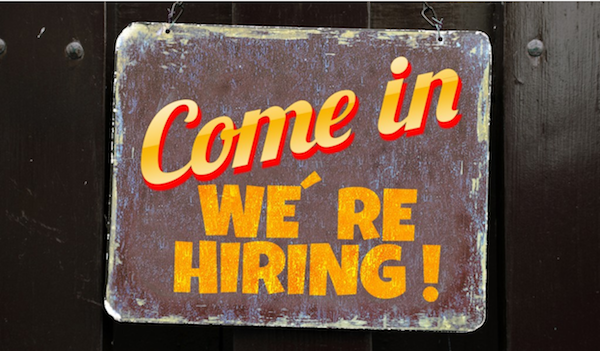 Finding the right candidates is critical to a company's long-term success and development. The best way to avoid employee turnover and bad hires is to recruit the best talent, which requires good strategies and approaches for evaluating potential employees. To avoid bad hires and weed out candidates, here are three great interview questions to ask potential employees. The best candidates should be prepared to answer these. This question tests how much research the candidate has done on the company, the division, the industry, and the person interviewing them. Employers want hungry candidates who are not lazy during the recruiting process. It is amazing how many people fail to do the most basic and obvious research. This question is a good way to weed out applicants, and a great question to ask early in the interview. We were interviewing a candidate once and asked this question at the beginning of the interview. It became painfully obvious that she failed to do even the most superficial research, did not seem to have a solid grasp of what was in the job description, and was thoroughly unprepared. We were less than ten minutes into the interview and knew she was not even close to getting an offer. Instead of wasting any additional time and listening to her struggle through basic interview questions, we stopped her and ended the interview portion of our discussion. This interview ranked down there as one of the worst interviews we have ever given - having interviewed hundreds of candidates over the years. We gave her advice on interviewing so she could improve, but we cut our losses early. When a boat is sinking, there is no need to keep paddling. We threw her a life vest to go float elsewhere and ended the interview. Hopefully, she learned a valuable lesson about being prepared and making a good first impression. 2. What Are Your Goals and Expectations for this Role? This question gives a sense of whether a candidate is proactively thinking about where they are headed professionally and how the role is going to help them develop skills. It also shows if they have thought about how the specific job opportunity will aid them in their journey as a professional. The best employees continually think about their goals and growth. These candidates challenge themselves, are not satisfied with the status quo, often bring great ideas to the table when they are on the job, and can help companies flourish. 3. What Makes You Unique and Sets You Apart From Other Candidates? Candidates should know their unique value proposition. At the end of the day, every interview question is asking the same thing even if the words are different. Each question is really asking "Why you above the other candidates?" and "What do you bring to the table that encourages this company to pick you?" When a candidate cannot effectively answer this when asked directly, then they are not the best choice. They should know their story and bring their resume to life. An interview is really a pitch session - with candidates pitching why they are a good fit and should get an offer. Once you make them an offer, then the candidate can explore if the fit is mutual. While evaluating them, it is their opportunity to shine and show they have a good sense of who they are, their skills, and what they can bring to a company. These questions are also a guide for candidates as they prepare for interviews. No recruitment process will be perfect, but it is possible to minimize the frequency of making a bad hire. These tips can help companies improve the interview process and eliminate potentially less productive employees. While interviews are just one aspect of the recruiting process and the challenges companies face when hiring, it can help set the tone for who to hire. The Azara Group (TAG) is a consulting firm that promotes the development of leaders in an increasingly competitive and diverse marketplace - providing strategy consulting services and leadership training services to advance professional and life success. TAG leverages expertise in career strategy, diversity, negotiation skills, and business acumen to provide strategic advice and consulting services to help people and organizations get what they want, achieve their goals, and advance their business and career objectives. TAG also helps companies better attract, retain, and promote diverse talent, and develop robust diversity platforms and strategies to create a more inclusive workplace.